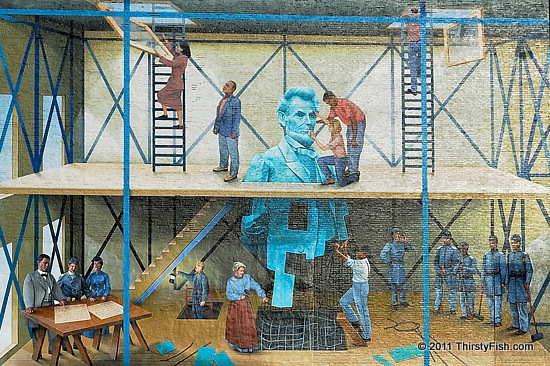 This is another mural that explores the struggle for civil rights and the role of Abraham Lincoln in this progression. It portrays how African-American culture is interwoven to American life. The mural contains a quote from Abraham Lincoln's Second Inaugural Address (not seen in the detail above): "With malice toward none, with charity for all".